Roughly 25,000-30,000 years ago: Laurentide ice sheet heads southeast across Maine as far as Georges Bank. 2,000-3000 years ago, Quaternary Period: oceans roughly at present level. Peninsulas, bays, and islands of coastal Maine have their present shape. Matinicus, Criehaven, Matinicus Rock, Wooden Ball, No Man's Land, Two Bush, Seal, and Ten Pound Islands probably looked much as they do now, only without the multicolored bits tangled up in the bladderwrack. Mid-1600s: Many islands off the coast of Maine, likely including Matinicus, used as fishing and whaling "stations" by Europeans. 1702: Cotton Mather, one of Massachusetts Bay Colony's chief Puritans, tells the story of another Massachusetts minister who sets out to convert the woodsmen and fishermen of the Wild, Wild East (that would be Maine) in the late 1600s. He preached to a few of the curious among these hard-bitten men that they should attend to righteousness and piety so that they would not "contradict the main end of planting this wilderness." A fisherman was reported to have yelled out in the middle of the sermon, "Sir, you are mistaken. Our main end is to catch fish!" Hall's son, also named Ebenezer Hall, was off working on a fishing boat (see above) and thus survived the massacre. He returned, married Susanna Young, and there are Hall descendents on Matinicus to this day. 1825 or 1827: Joseph Ames moves here from Vinalhaven, has Nathaniel, Robert, Lewis, Harvey, Joseph, Ezekiel, Andrew, Esther, Sally, and Lydia, who marry all sorts of other local people, mostly Youngs, Browns, and Cries (and Iddo Tolman). Nathaniel Ames had Cordelia, Belinda, Winthrop, Ezekiel, Esther, and Eldridge. Robert Ames had Dorinda, Elsie, Hariette, Mary, Seth, Lewis, Freeman, James, and Rose-and so on. You do the math. 1840: The Plantation of Matinicus was incorporated. A "plantation" is a bizarre form of Maine sub-government somewhere between that of a town and an unorganized territory, handling some customary municipal functions, but not all of them. The neighboring island, called Ragged Island (polite for Racketash or Ragged-Arse) on some of the more low-class maps but known to all as Criehaven, was part of the plantation. Criehaven seceded in 1896, set up its own school and post office, and functioned as an independent governmental entity until they decided it was more trouble than it was worth and renounced their organization in 1925, when Criehaven Township became an unorganized territory. 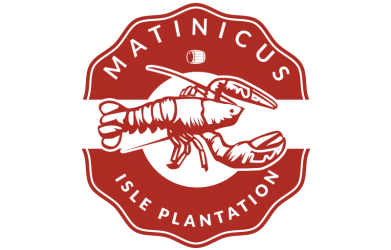 Matinicus Isle Plantation has main- tained its legal status as a disorganized territory. 1842: A lodge of the "Washingtonian Temperance Society" was formed on Matinicus Island. It has been suggested by the present-day town historian that the wider public might take some interest in the existence of this august association. As documented in Matinicus Isle, Its Story and Its People, by Charles A. E. Long (1926), the citizens of the island apparently were then, as now, occasionally influenced by peer pressure and the informal leadership of a particular sort of tribal chieftain. Cold water is our constant drink. And made the damned fools sign. Membership peaked at 139, from which height it began its rapid plummet, until meetings were canceled due to total lack of attendance. Sales of vanilla extract in the 1840s reached a previously unknown high. 1856 and/or 1857: At Matinicus Rock (a lighthouse on a big ledge five miles south of Matinicus Island) seventeen-year-old Abbie Burgess, the daughter of lightkeeper Captain Samuel Burgess, spends an unbelievably long time running things herself in the absence of her father. He has gone to town for lamp oil, medicine, mail, groceries, chicken feed, his salary, and, some say, more than a few rounds. He is said to have been away for four weeks. Meanwhile, Abbie maintains the oil lamp light station despite terrible storms, nurses an ailing mother, tends younger sisters, and is down to eating almost nothing but eggs by time Captain Burgess returns. The heroic Abbie later marries another lighthouse keeper and continues with her position. She is buried in Spruce Head, Maine, with a lighthouse on her grave. "Keep the lights burning, Abbie" is our best little motivational speech. 1903: The red dahlia plants that become an icon of the island are first brought to the island by Aunt Marian as a gift to young Julia Young. Dahlia tubers propagated from the originals are still planted every year by many Matinicus homeowners. 1906: The Matinicus church is built. I guess it didn't take; we are still mostly heathens. Records indicate over 250 year-round residents on the island at the time. In a June 1906 clipping from the Rockland Courier-Gazette, we read the following: "In spite of the fog and rain the steamer W. G. Butman took nearly sixty persons-ministers, church members, and friends-to Matinicus Wednesday to assist in the dedication of the first church building which the beautiful island has ever enjoyed". The visitors soon found themselves in the attractive meetinghouse". In the vestry were tables loaded with food in quantity enough for a small army and in quality enough to satisfy an epicure." Islanders' opinion about what a church is for has not changed. 1931 or thereabouts: Edna St Vincent Millay writes Sonnet XXXVI, the "Matinicus Sonnet." The words of this poem are painted on the walls, up near the ceiling around the periphery of one of the island kitchens. Dahlias are, of course, mentioned. 1940s: The population of Criehaven was severely depleted around the time of World War II, when so many men left to serve in the armed forces that the fishing community almost disappeared and the community could not afford to hire a schoolteacher. This resulted in most of the women and children leaving, which resulted in the store packing up, which resulted in the loss of the post office. At this time, Criehaven has no year-round residents and no public services. The majority of the island is owned by one man, a finite number of lobstermen are permitted, and the island is startlingly clean due largely to the lack of junk mail. 1950s: "Lobster War" at Matinicus makes the papers. Photographs of armed fishermen solidify reputation for lawlessness and anarchy. Meanwhile, on the island, Aunt Marian and the other old ladies keep everybody in line. Arthur Harjula first flies passengers to and from Matinicus in his airplane. 1960s: Technological boom time. Telephone service comes to Matinicus; until now, one U.S. Coast Guard cable came from the mainland, crossed over Matinicus Island where it was tapped for an emergency phone (two sets, at the post office and at Aunt Marian's, but same line), and continued to the lighthouse at Matinicus Rock, five miles farther out. Microwave telephone allowed residential customers, although five-digit numbers and party lines remained common until roughly 1990. Island customers, when calling off-island (which was long distance), hear an operator cut in and ask, "What number are you calling from." This offers a high degree of temptation, and sometimes people discover calls on their bills that make very little sense. Once, Suzanne Rankin asked me if I recognized a certain number that appeared mysteriously on her bill when she wasn't even on the island that week; I repeated the number out loud, and behind me, another neighbor called out, "That's the Trade Winds Bar in Rockland!" First iteration of the power company forms on the island. Before this, everybody had his or her own generator. Matinicus Light and Power goes through a series of different hand-me-down engines before new engines, sized for efficiency, are purchased in 1982. The power company came about in part by the desire for telephone service. These days, we have "Keep the lights burning, Paul Murray." Schoolteacher Tadgh Hanna goes on strike, with a picket sign, and gets in the papers. The old one-room schoolhouse, supposedly built with lumber salvaged from a shipwreck, is replaced by the architecturally uninspired "new school" next door. Hanna, evidently a bit more of a free spirit than some felt necessary, is replaced by a teacher who had just got out of the Marine Corps. The new schoolhouse does have indoor plumbing; some said that's what Hanna was on strike about. 2001: No children registered for school. No teacher hired. The Matinicus community, after much ruminating, decides to keep the school open anyway. That proved the right decision, and the next year students began to come back. Let that be a lesson to you. 2006: The Matinicus Congregational Church gets running water to the kitchen after a century of doing without because the year before twelve island women, of a respectable age, peeled down behind the rose bushes for a worthy cause. The calendar sold out quickly, and only a few helpful souls wrote to inform us that we were going to hell. 2008: Newly renovated post office burns down in accidental fire. It takes over a year to get a physical post office up and running again. Hey, we're talking about the postal service. Matinicus postal customers get RFD mail delivery for the first time ever. 2007 and 2009 and 2010: Matinicus in the news again for the wrong reasons, but this time people have computers, text messaging, Twitter, cable television, and the "anonymous on-line comments section" after news articles. Our outlaw reputation is instantly cemented worldwide and on Mars. Tourists call up on the phone and ask if it's true that bullets are flying everywhere. Teenagers write essays for school about this stuff and nobody believes them. Applicants for the teaching position are discouraged by their in-laws. We hope Harrison Ford will agree to star in it when they make the movie. Eva Murray first came to Matinicus as the teacher in the island's one-room school. She is a freelance writer, an EMT, runs a small seasonal bakery from her home during the summer, is married to the island's electrician and has raised two children on Matinicus.